At Coast Dental and Orthodontics, we provide a wide range of comprehensive benefits to our team members and their families to support their health, well-being, financial future and other needs while away from the office. 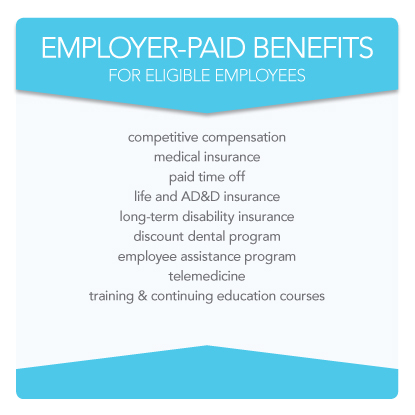 Here are some highlights of our compensation and benefits program. Employees working at least 25 hours per week are eligible for group health insurance, with plan options for individuals and families including discounted dental services at any Coast Dental & Orthodontics practice location. We also offer an Employee Assistance Program to provide confidential counseling on substance abuse, mental health, financial issues or other personal matters. For eligible team members, Coast Dental and Orthodontics offers both disability and life insurance. 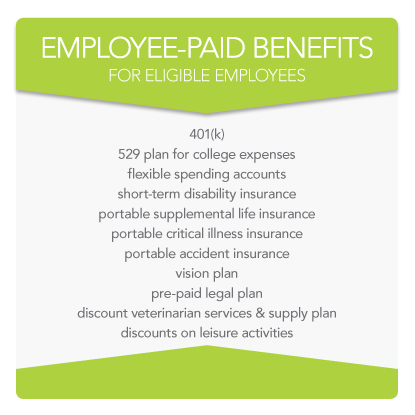 All eligible team members can take advantage of our 401(k) plan to help save for retirement and reduce their taxes. We offer flexible spending accounts, allowing you to place pretax wages in a personal “bank” for eligible medical expenses, adult or child care. Enjoy special discounts on amusement parks, theatre tickets and other fun venues through our Tickets at Work program. Eligible team members working at least 36 hours per week receive paid time off for vacation, sick days and personal time. Your position will define your eligibility, while the amount of personal time is based on length of service. Eligibility for each benefit varies. If you are eligible for any of these benefits, Coast Dental and Orthodontics will pay all or a portion of the cost. Independent contractors may not be eligible for benefits under Federal IRS Laws. Part-time employees may not qualify for some or all benefits. Please ask us for details. 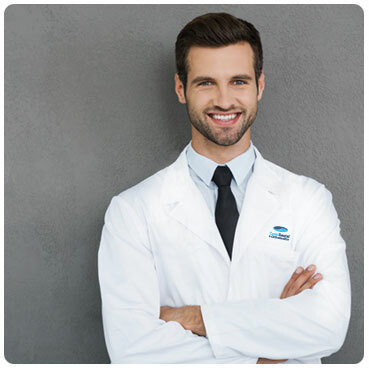 Explore all the great opportunities that Coast Dental has to offer. Ready to get started? Let's go. You are just a click away from it all. Contact us today to learn about all our great opportunities. © 2017 COAST DENTAL SERVICES, LLC. All rights reserved.